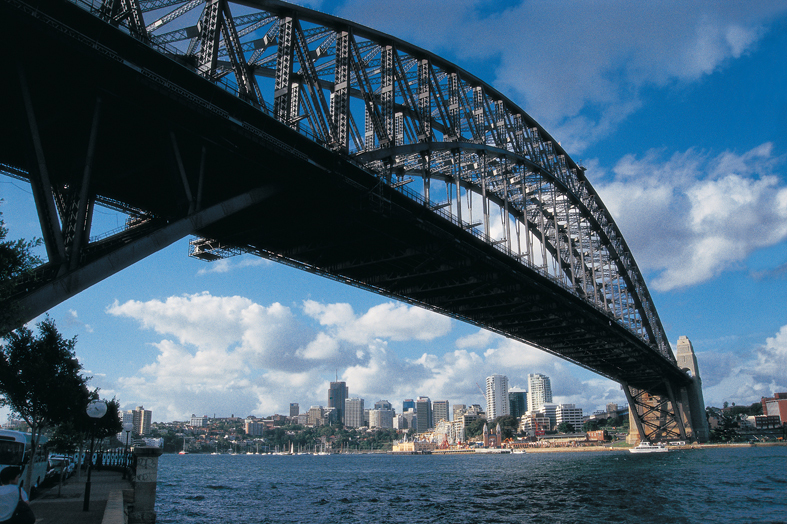 Did you know that Australia is the most urbanized city in the world? 90% of the population lives in a city. The most populated is Sydney. For us, city at the end of the world, for the Australians, it is the center of the world. With its distinctive silhouette, recognizable, that seems to rush towards the sky and the ocean, Sydney is a city that entered long before the rest of the planet in the XXIst century …. 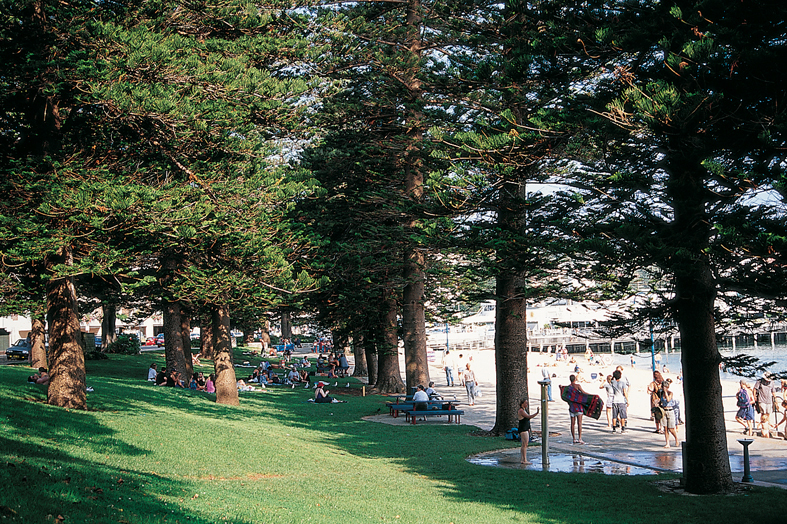 Twenty thousand years ago, the aborigines became sedentary around Sydney Harbour, the area is so rich in natural resources. They can ensure their survival. Their cultural life develops, grows rich. Many centuries later, in the XVIIIth century, the British Governor Phillip wants to establish contact with the natives. He will appeal to a certain Bennelong, who will show excellent interpretation skills … of languages ​​and music. He will appear even in London! As a tribute to this first Aboriginal musician, the Opera House, a modern masterpiece that stands on the site of ancient populations, with mural frescoes depicting the remarkable life of Bennelong. 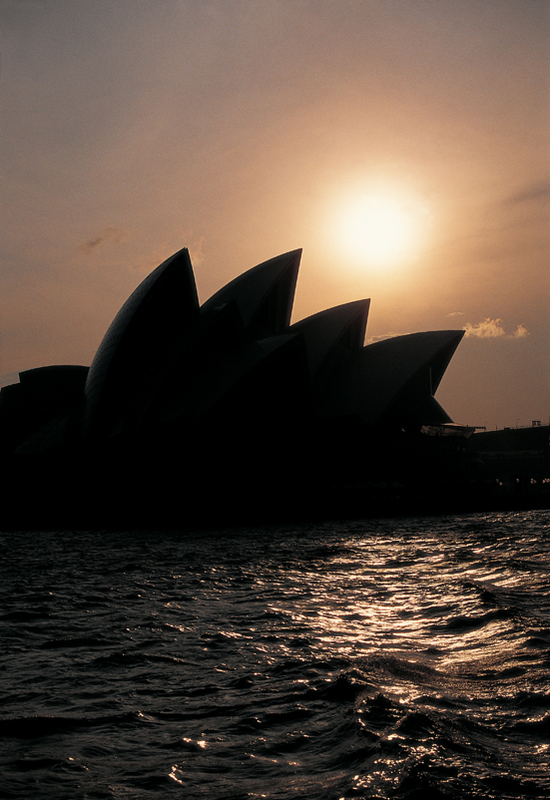 The Opera House has not simply changed the landscape of Sydney, it offered the city a new cultural identity and was an artistic turning point in its history. The magnificence of the building has exceeded the expectations of those who had imagined it. It is there that the biggest shows in the world are performed. 2,500 every year to a million and a half spectators! 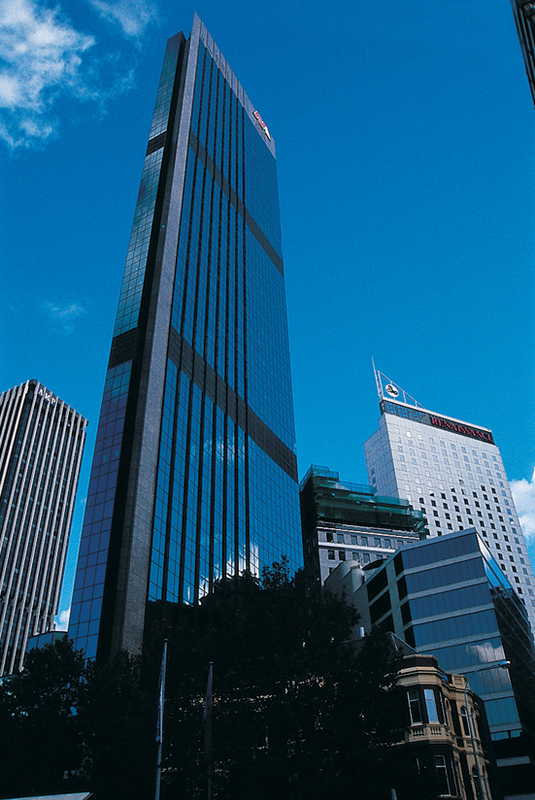 Its architecture combined with the beauty of the site has made it a symbol to which the Australians are attached. The Opera House is with its promenade, shops, cafes, restaurants, the beating “heart” of the City, the meeting place of people from Sydney and … the destination of more than four million tourists. It was in 1940 that the need for an opera arises. At the time, there was no concert hall. It will take forty years to complete the project, in order to realize the dream of British Eugene Gossen who was entrusted the leadership of the Sydney Symphony Orchestra. He finally convinced officials of the need to build an opera house, the acoustics of the Sydney Town Hall being unsatisfactory. During the mandate of the Prime Minister Cahill, the issue is seriously considered and 31 sites are proposed. The Bennelong Point is selected as the first choice. Competition is launched, no fewer than 233 architects entered the lists, a young Danish architect Jorn Utzon is selected. His sketches are so simple, so theatrical. One glance and the jury is satisfied, this project incarnates the concept of the opera, set to become one of the largest buildings in the world. 1957 Jorn visits Australia for the first time. He describes his vision of the Sydney Opera House: a festive functional building, inspiring, who will host “life” and will enhance Sydney’s image. His inspiration: the Mayan temples. “I didn’t want a square but a sculpture. It will look like a Gothic church, people will never get tired of it, and each time we pass by it, we will discover a new detail, a light “But the project is in jeopardy. The fundraising campaign fails, the idea of ​​a lottery “opera house” is proposed to raise the necessary capital and finally initiate construction. Captivating all the arcs of the sun, holding the versatility of clouds, reflecting the lights of the day and evening, the Sydney Opera House varies indefinitely, seems to come alive before the dazzled eyes of the visitor. 1966 Utzon abandoned the project unfinished. Today, the name of this visionary is not mentioned on the plaque at the entrance of the building. And his concept of glass walls will never be realized. 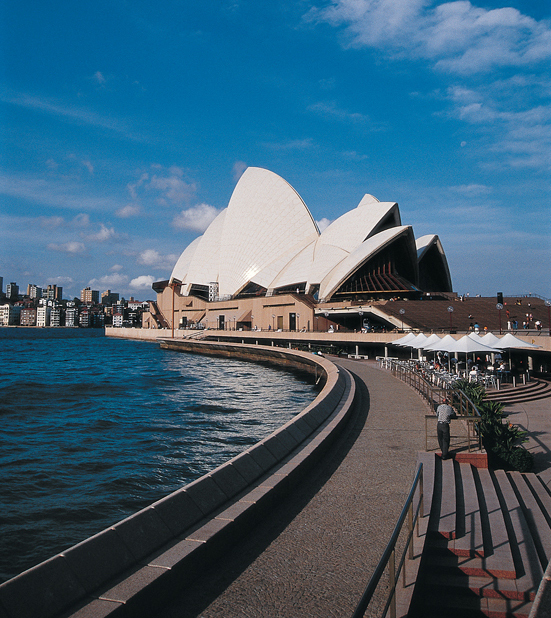 December 1972 The Opera House opens its doors to the public … who applauded wildly Prokofiev’s War and Peace. The monument will be officially inaugurated by Queen Elizabeth II. And expansion works continue to this day. 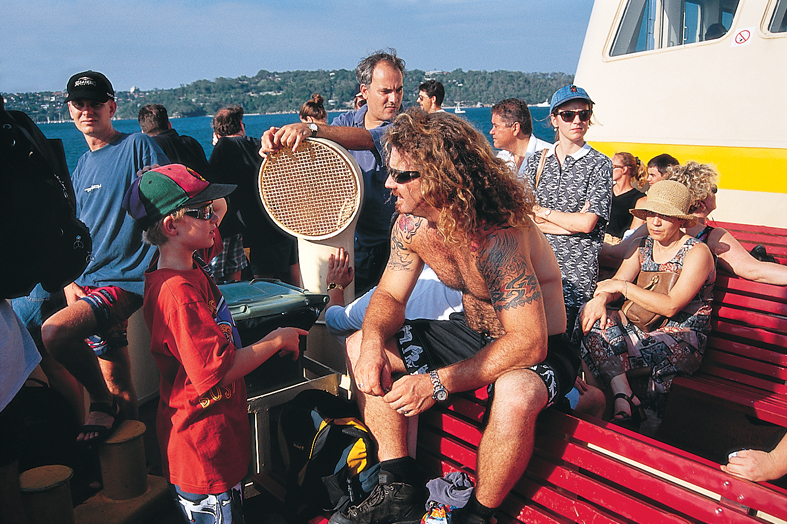 For if the heart of Sydney beats for its Opera, the Opera lives at the rhythm of Sydney, a city in constant evolution. No city has ever successfully achieved its urban landscape. Skyscrapers and nature mingle in complete harmony.